The pro-Kurdish Peoples’ Democratic Party (HDP) will not nominate metropolitan mayoral candidates for Istanbul, Izmir, and Adana for the upcoming local elections on March 31, HDP spokesperson Hakkı Saruhan Oluc told reporters on Monday. According to the Mezopotamya News Agency (MA), in addition to Istanbul, Izmir and Adana, the pro-Kurdish Peoples’ Democratic Party (HDP) will also not nominate candidates for four other metropolitan municipalities including capital city Ankara. Though HDP spokesperson did not name Ankara at the press conference on Monday, no one from HDP declined Mezopotamya’s claim that HDP will not nominate a metropolitan candidate for Ankara, which is more important for ruling government than Istanbul. Addition to capital Ankara, Mersin, located on Turkey’s Mediterranean coast, as well as Gaziantep and Sanliurfa, which are located on Turkey’s southern border with Syria, are reportedly the 3 metropolitan municipalities that will not see the election race with HDP candidates. In the 2018 general elections, HDP came second in Sanliurfa with 28,9 percent of the votes. Mersin’s HDP vote count was 17 percent, Adana’s was 14 percent, and Gaziantep 12 percent. The Republican People’s Party (CHP) and nationalist IYI Party, in an alliance, will run for a candidate in five of the seven metropolitan cities where HDP allegedly will not run. The report of Mezopotamya is viewed by pro-government media outlets as a waiver in support of the CHP-IYI party alliance in these metropolitan municipalities. IYI party MP, Tamer Akkal, has resigned from his party membership as a result of the allegations of HDP support. 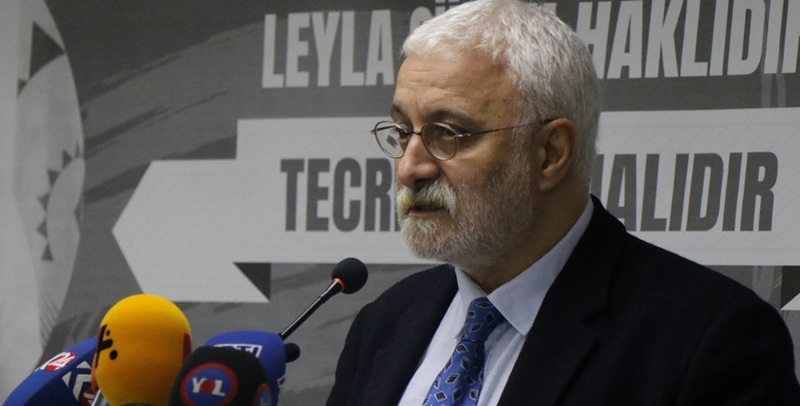 “As a Turkish Nationalist, my resignation decision became clear after the support of the party with terrorist roots (implying pro-Kurdish HDP) by not producing candidates for some metropolitan municipalities,” said Akkal in a written statement announcing his resignation. The IYI party is led by Meral Akşener, a former MP of the ultranationalist Nationalist Movement Party (MHP). The party is viewed as having a nationalist base that was formerly supporting MHP but are not content with the party’s alliance with the ruling Justice and Development Party (AKP).